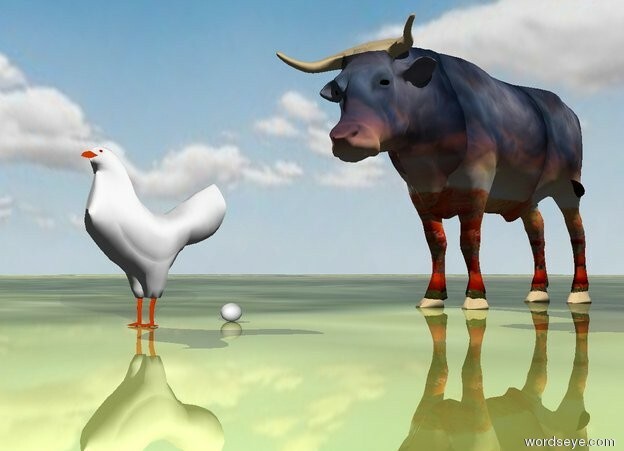 Input text: A [flower] ox is 2 feet behind the chicken. The ground has a shiny grass texture. It is cloudy. the egg is under the chicken. it is behind the chicken. it is facing right. it is face up.